A region where you can drive for hours without encountering a signle soul. A national mentality that resonates with me. Outworn stereotypical approaches to the country label its people as reserved and taciturn lot – which is immensely appealing as the Finnish DNA seems to be diametrically opposed to the light, meaningless chit-chat folks in the new world are accustomed to. I was lucky enough to recently spend some time in Helsinki with some gracious hosts who led me the Artek HQ. Being a bona fide Bauhaus aficionado it was a welcome excursion as Artek’s focus rests firmly on the quality of materials and technology rather than indulging in frivolous ornamentation, which could be seen as the epitome of the Finnish national character. The fact that they proffered spruce resin ice cream—created to capture the taste of their architecture—only enhanced the experience. Another highlight was the visit of the Steven Holl-designed Kiasma museum, where we felt particularly safe under the watchful gaze of Carl Gustaf Emil Mannerheim, who rested on a horse ready to attack. Another Finnish creation that appeared on my radar is nopeet – maybe because of the fact that it sticks out of the Finnish design landscape. Nopeet is a Finnish venture that focuses on shades. Shades from the cold and dark neither regions of Finland? 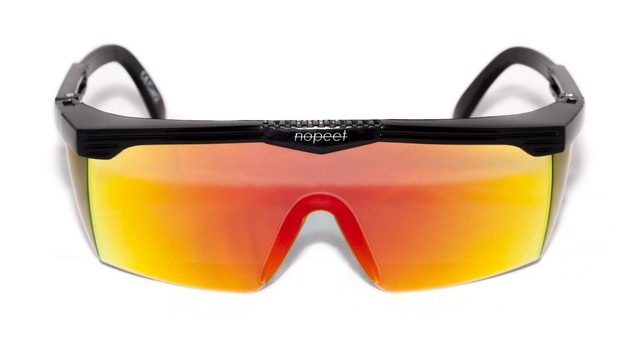 Rumour has that nopeet’s shades were originally inspired by the emissions of over-the-top South African sunglasses that were being sold at local markets. Not a stretch by any means as the exotic inspiration is something one can see manifested in nopeet’s futuristic designs. With their sassy and snappy marketing, nopeet has proved to be an intriguing brand whose shades are designed to fit both and non-binary genders no matter the size or shape of their heads with the length of the temples being adjustable. 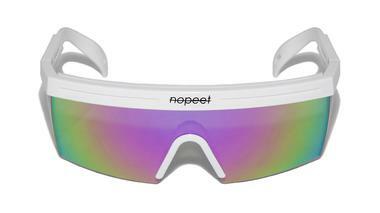 I mainly use my nopeets for running or riding my bike as the soft padding for the nose and forehead assures there will be no chafing and with the lenses being made from PC material available and with the 100% UVA/UVB protection, they prove to be ideal for exercise beneath Australian’s harsh sun. The shades come accompanied by a 666XYZ microfibre pouch and ship in a technical print 150g paper boxes. While they intentionally look futuristic and not unlike something Ion Tiriac would have dreamed up courtside to distract himself from Boris Becker trying to give cohesive interviews, they are surprisingly comfortable and practical.